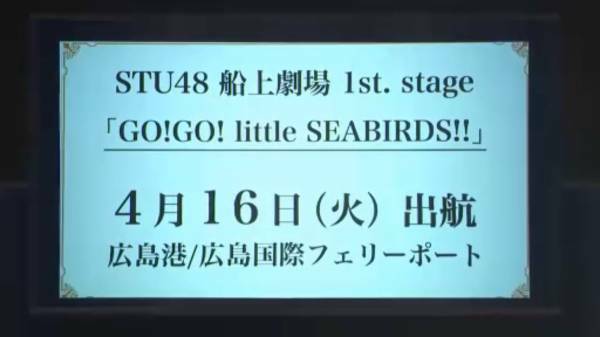 The STU48 first setlist stage show titled "GO! GO! 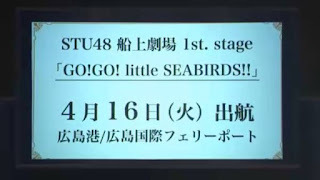 LITTLE SEABIRDS!!" has been announced and it's Shonichi performance day will be hold on April 16. They plans to start their theatre on STU Ship boat no later than Summer this year.